Now the dark winter months are well and truly upon us, it’s more important than ever to keep properties protected from the threat of burglary. We know how important home security is for homeowners, that’s why we only manufacture the highest quality, secure windows and doors. In support of National Home Security Month, which takes place every October and other campaigns that shed a light on security standards, we want to raise awareness on why our PVCu secure windows are best for all your domestic and commercial projects. Choosing PVCu windows with the highest security specifications are crucial for new builds and refurbishment domestic & commercial projects. By installing secure windows, you are offering customers the peace of mind that their glazing is resistant against potential break-ins and will perform when needed. PVCu is the ideal material when producing secure windows. Its resilience, strength and robustness create an added layer of security, and when combined with the latest in locking technology, PVCu windows meet the highest security standards. Only the highest specifications will do for our range of Profile 22 Optima PVCu windows, so you can be safe in the knowledge that you’re installing only the highest performing, secure windows. A great feature to look out for is whether windows have Secured by Design (SBD) accreditation. The scheme works alongside the police and aims to design out crime by advocating products that have the highest levels of security. PVCu windows earn their SBD status if they offer these police preferred security. The secure windows are rigorously tested and checked to achieve the accreditation. We have police approved options available on our range of PVCu windows, for an enhanced layer of security. 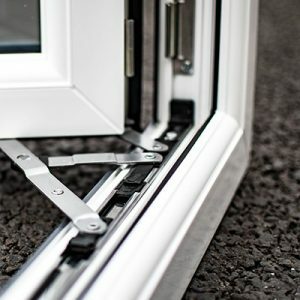 Multipoint locking systems secure PVCu windows in several places with one turn of a key. This not only makes the system extremely user-friendly, it also increases the resistance of the windows against attacks. We include high security shootbolt locking systems as standard on our secure windows, giving the best possible layer of security and protection. At Framexpress, we’re focused on taking the hassle out of buying secure PVCu windows, so that you can fit more jobs every week. We can give you quotes for your windows in just 4 hours, and deliver white, secure windows in as little as 2 days. 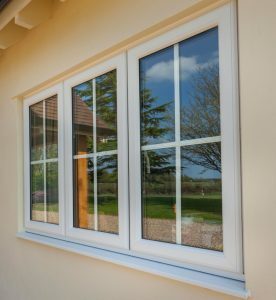 You can find out more about our PVCu windows on our website, and get in touch with us for a 4-hour quote on 01952 581100.